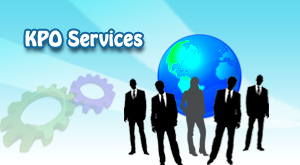 Knowledge Process Outsourcing ( KPO ) greatly helps to improve your enterprises quality and fertility. This is the reason why many business are looking progressively for KPO services. KPO services will greatly help to improve your performance with on-time delivery and increases the potent of your organization since it mainly focus on knowledge expertise. This services is generally termed as high-end activity as it is wholly deals with information driven process which involves the creation and dissemination of information. With our talented professionals and skilled domain experts, we aid your organization in search of advanced information with analytical and technical skills. Our KPO services also include the process of decision-making, technology research and analytics, qualified and skilled services that includes research about business etc. Outsource to Isplchennai not only provides you with increased efficiencies but also promises for an improved performance by combining the right people and processing with skilled technologies. Isplchennai provides our client with the required processing needs with high quality and efficient solutions by endowing our skilled team. Contact us today to benefit your organization to improve your performance.